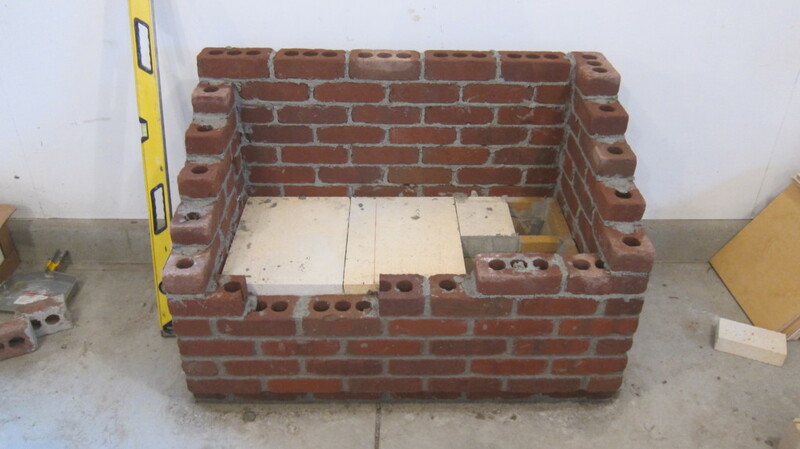 We think that there are no current US federal-level tax credits for the installation of masonry heaters. We do not know about any specific state-level programs either. If you know of any examples to draw resources from, please let us know! The Tulikivi TTU 2700 series is powerful and versatile. 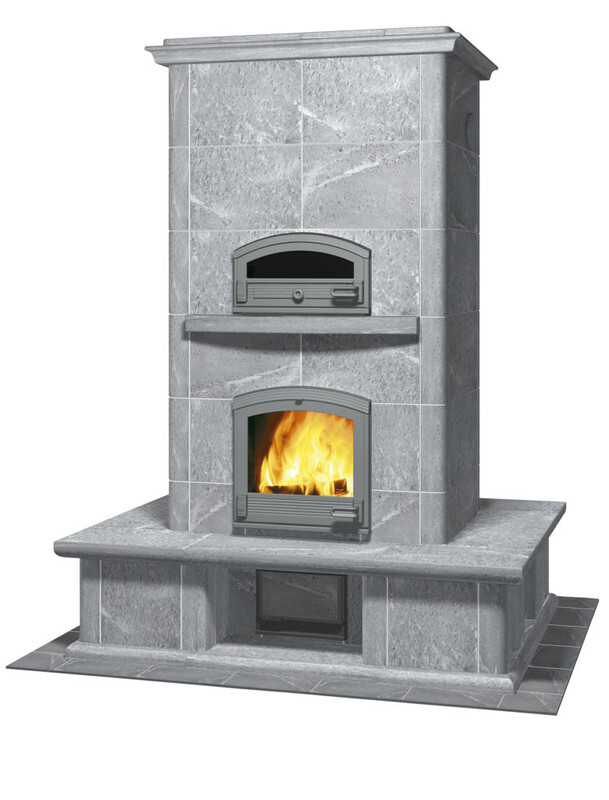 It comes with an extra-large firebox option which was designed specifically for the North American market. 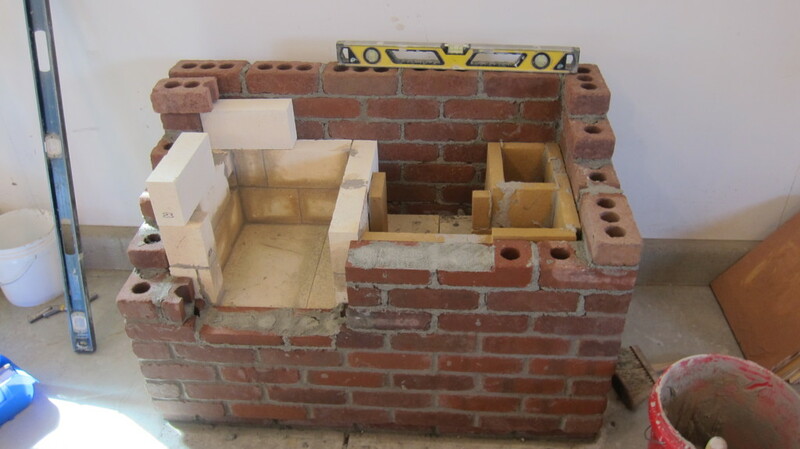 Model options include bake ovens facing either way, the addition of a second firebox door to make a see-through firebox, and both pre-designed as well as custom bench solutions. 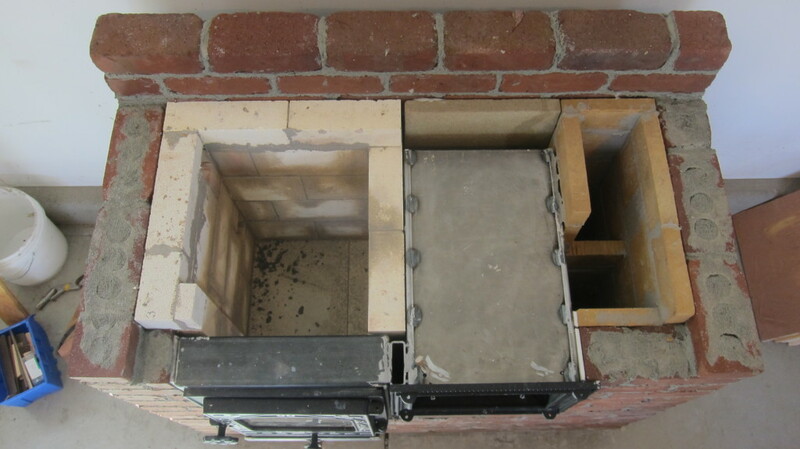 The TTU 2700 is a top-exit model which means it usually has a chimney coming straight up off the top. TTU 2700/5 Square in a European home. 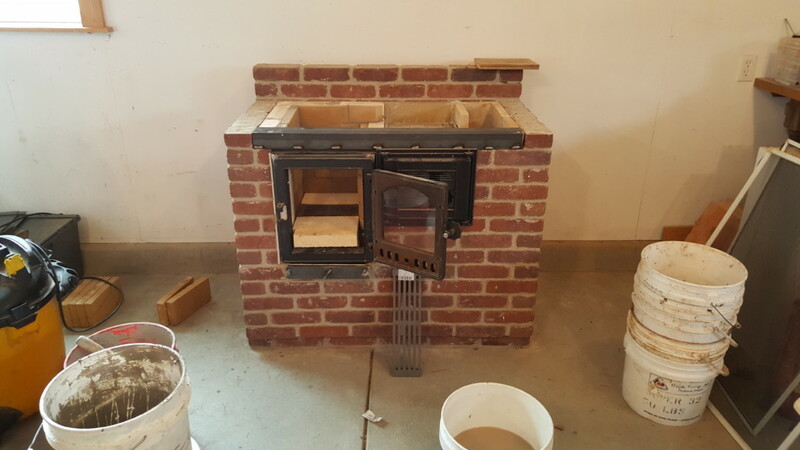 TTU 2700/5 with Custom 2-Sided Bench by Mid-Atlantic Heat. 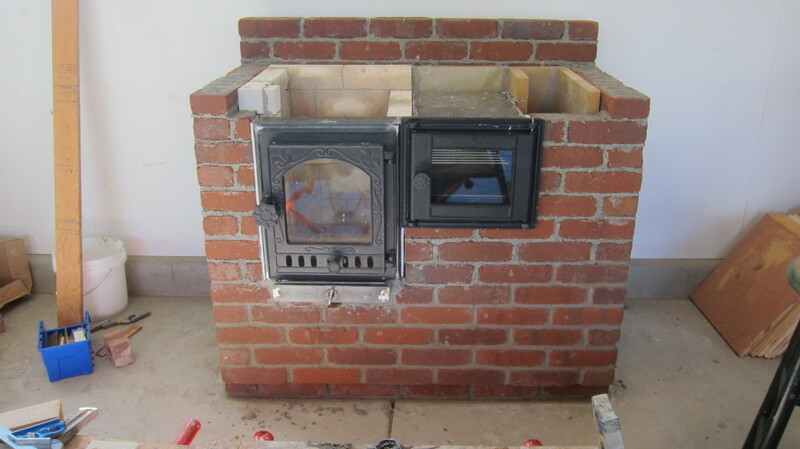 TTU 2700 Custom by Warmstone Heat. 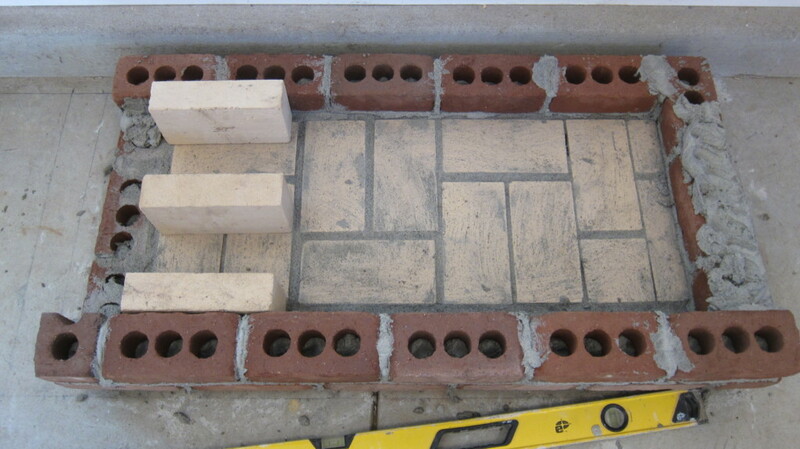 Contact us to discuss a Tulikivi installation for your residence. Firespeaking is looking for an assistant to join our team. 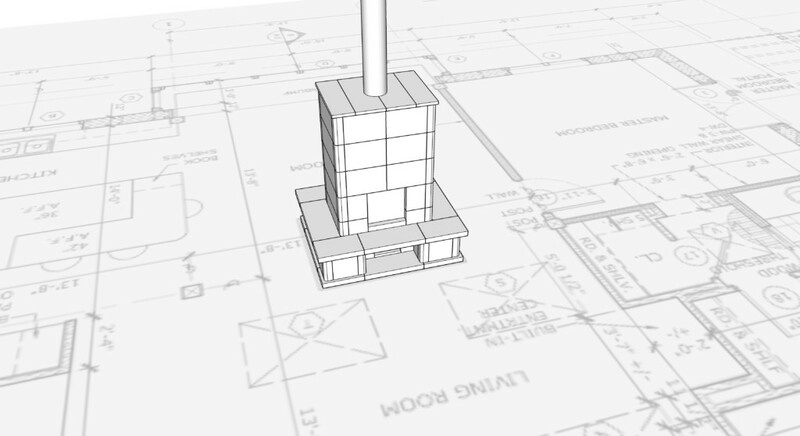 Our work is creative and rewarding and involves an almost daily fusion of form and function. It is very detail oriented and includes a wide-ranging skillset including masonry, metal work, carpentry, ceramics and design. This assistant position is partly influenced and molded by the individual seeking the position. 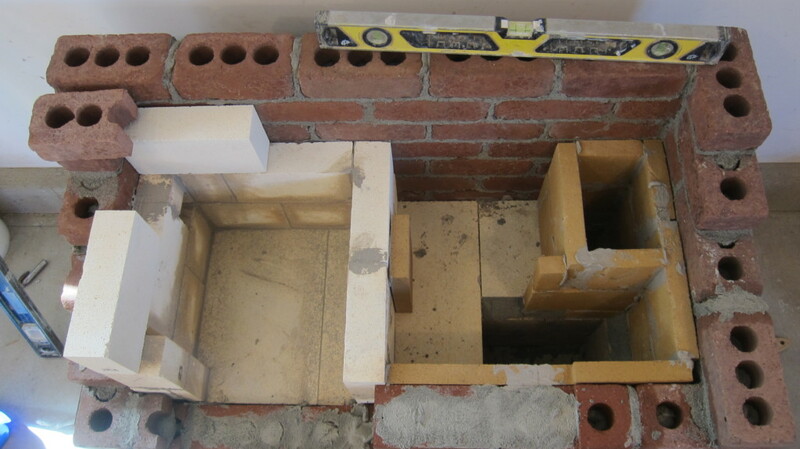 We are looking for someone who can carry out the responsibilities of assistant on masonry heater and wood-fired oven builds in the field. 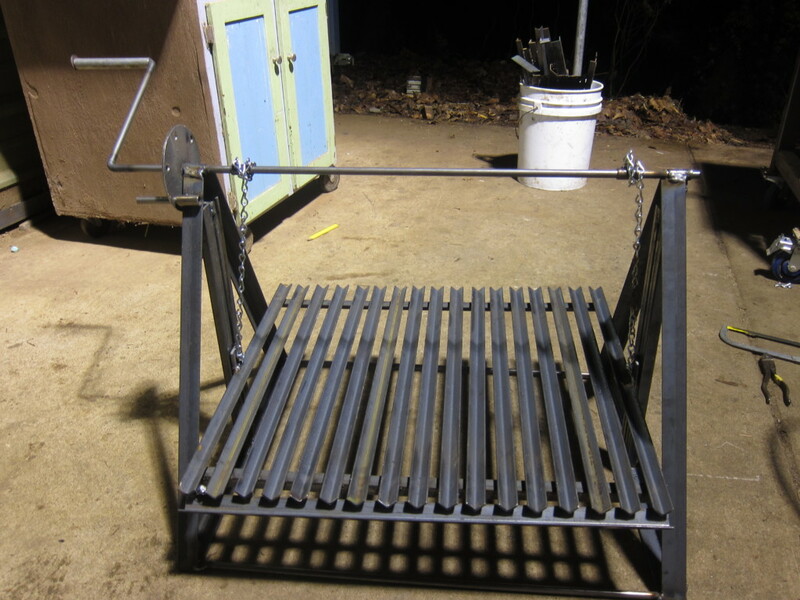 When not working on projects in the field, the assistant would be working in our shop, especially on metalwork for products that we have developed. To the degree that the candidate is skilled and/or interested, there is also potential for gaining experience with the day-to-day tasks of running an innovative business such as website development, answering the phone, office organization, CAD design work using Sketchup and bookkeeping. 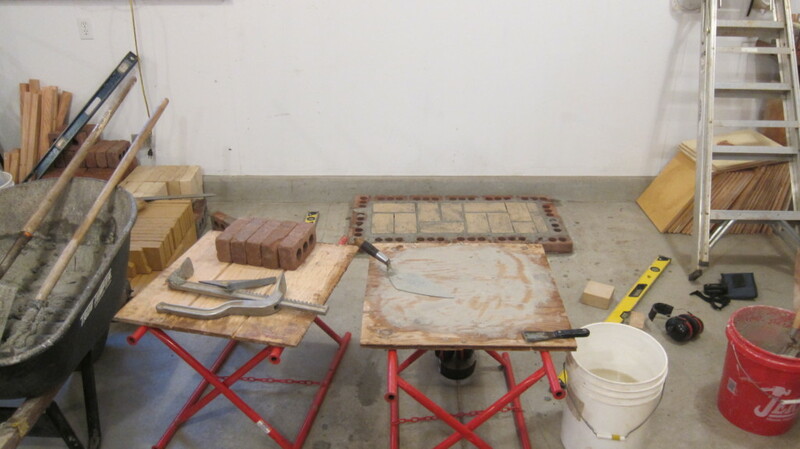 While none of these specific skills are necessarily required for the position and can be acquired through on-the-job training, some experience in the rigor and discipline of craft and construction is necessary. The most important asset is a keen interest in the kind of work that we do and motivation to get good at it. This position could be filled by someone already residing in Eugene looking for a long term employment relationship or someone interested in moving to Eugene for a 1-3 year apprenticeship experience which would prepare them for engaging in similar business in another location. 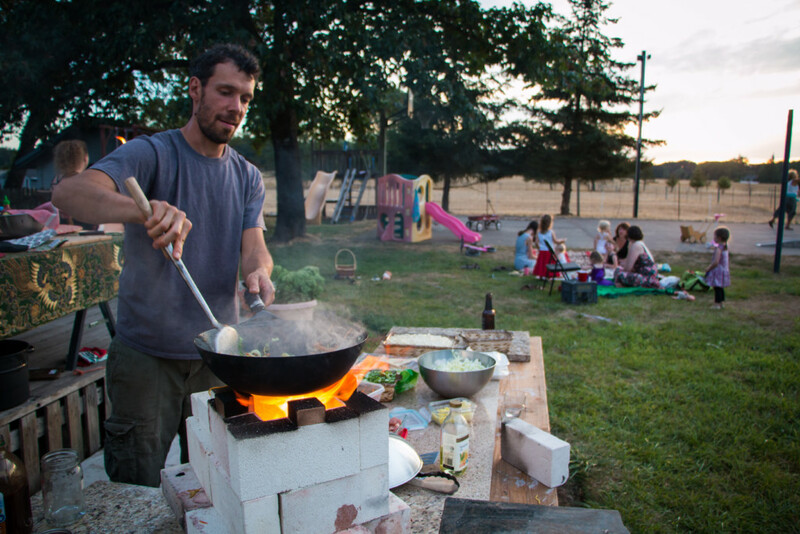 We po have accommodations on-site (Long Table Farm) which can be an ideal live-in experience for the candidate. Initial pay ranges between $10-$20/hr. depending on experience. 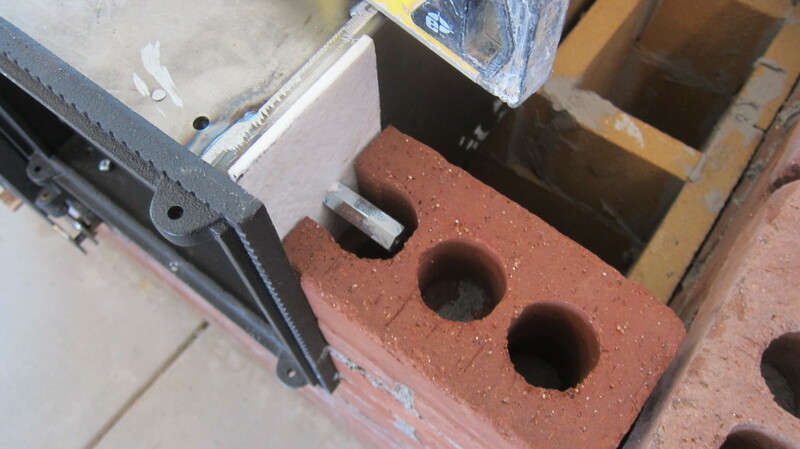 Previous bricklaying or metal working experience is an especially strong asset for a candidate. Our work load does vary between 20 and 40 hrs/week depending on whether we are on a project or not. For this reason, it is great if the candidate appreciates having some flexibility to also pursue his or her own interests or activities in parallel to working for Firespeaking or is interested in farm work to ensure full work weeks. If you are interested, please use our contact form to send a letter of introduction. 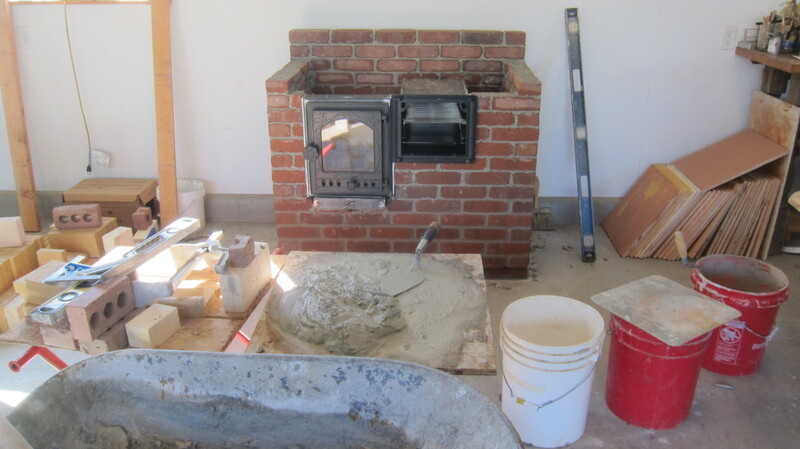 These photos document the build process of the Shop Cabin Stove. This is a project in continuous development. The best way to receive updates is to join our mailing list. This documentation is provided on an open-source basis. 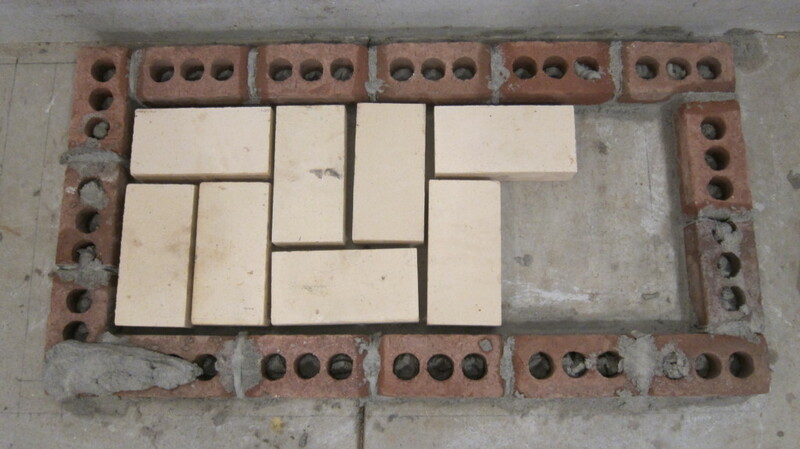 You can derive a lot from knowing that the bricks lay out to a modular 4″ x 8″ x 2 3/4″ layout, the fire brick are 4 1/2″ x 9″ x 2 1/4″, and the firebrick splits are 4 1/2″ x 9″ x 1 1/4″. 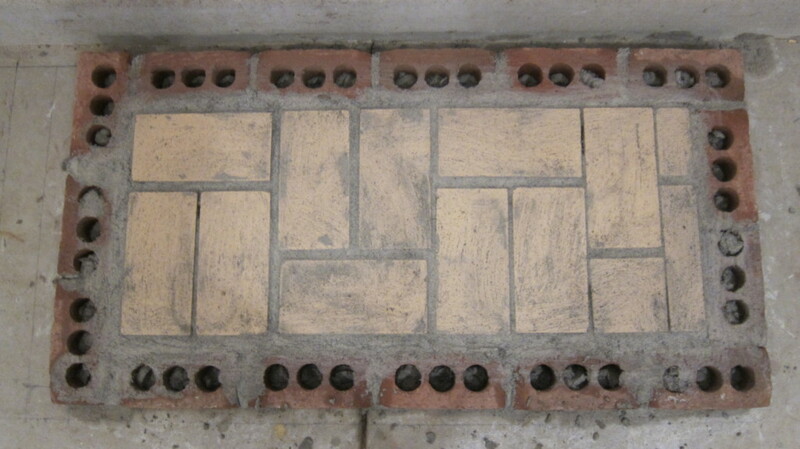 I recommend Northstone Heat Supply for hardware. 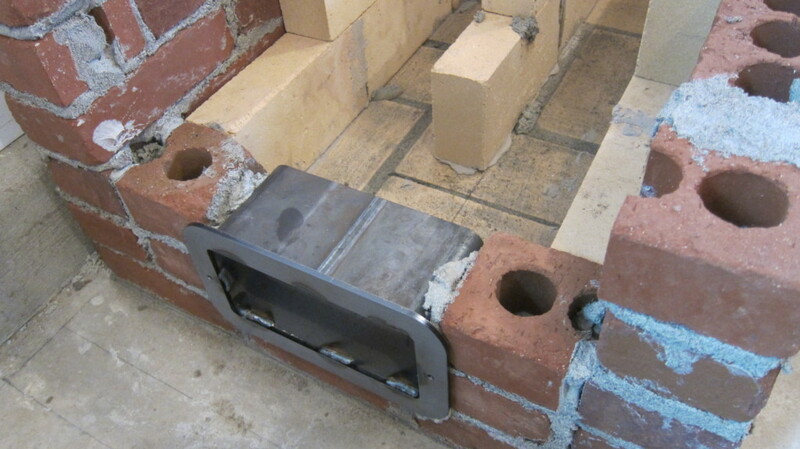 The next iteration of the Cabin Stove will be designed around readily available hardware. As stated, the very best way to stay involved with this project is to join our mailing list. 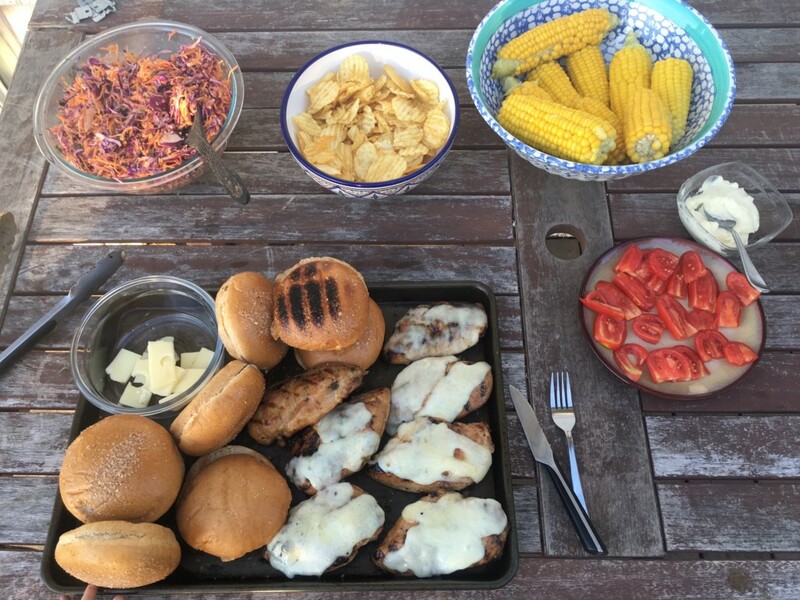 Here is a journal of BBQ’ing “parilla” style at home. 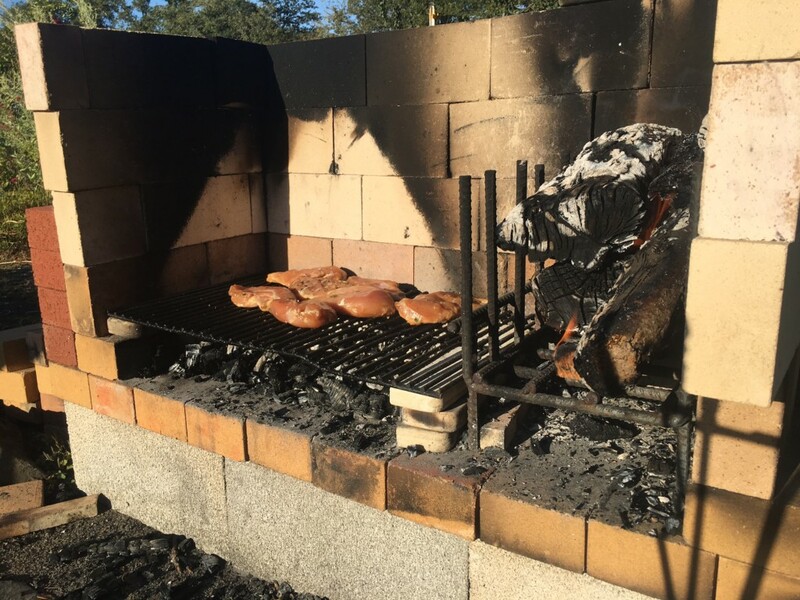 You can see next to the grill is an apparatus designed to let coals drop in order to shovel easily shovel them underneath the grill. It is referred to as the “brasero”. 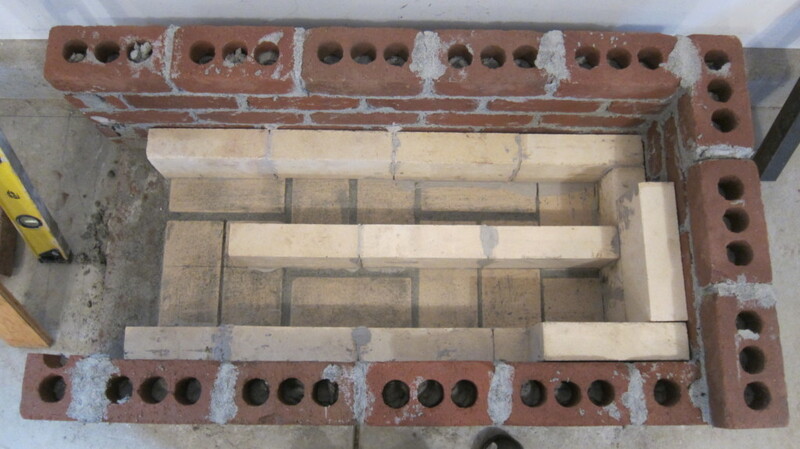 I usually start my fire where I will actually be grilling in order to heat the space and the bricks around it and then eventually move the fire over to the brasero in order to place the grill and continue producing coals. It would be a significant improvement to our temporary home set up to have an adjustable height grill. 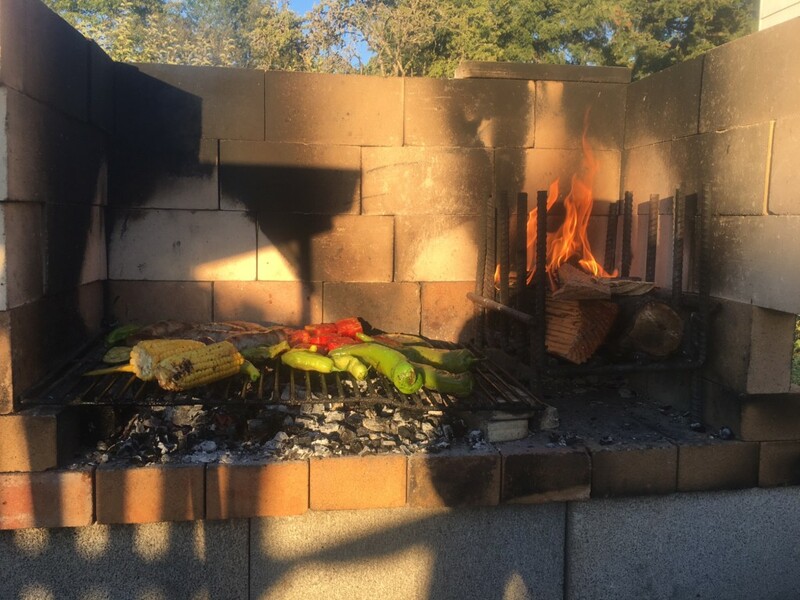 This is a “scrapbook” of images chronicling my exploration of Argentine-style BBQ’ing. 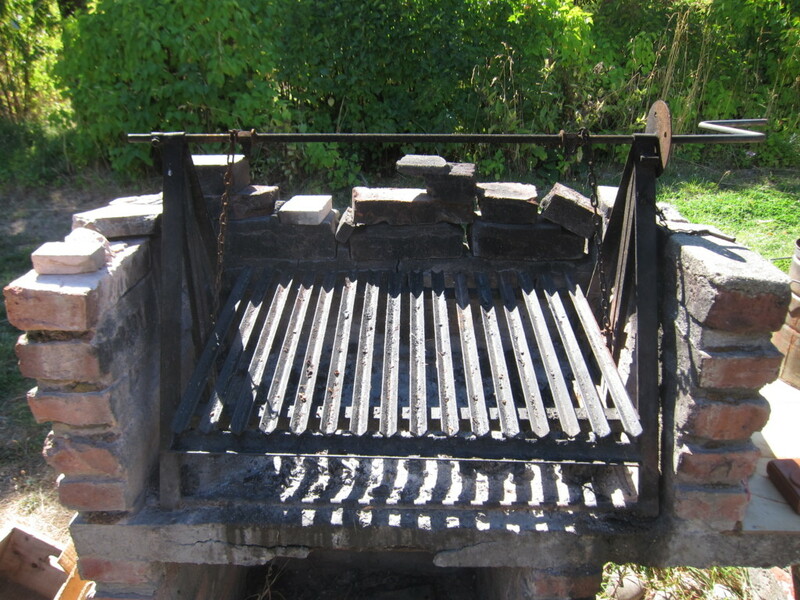 The actual grill itself is referred to as a “parilla”. 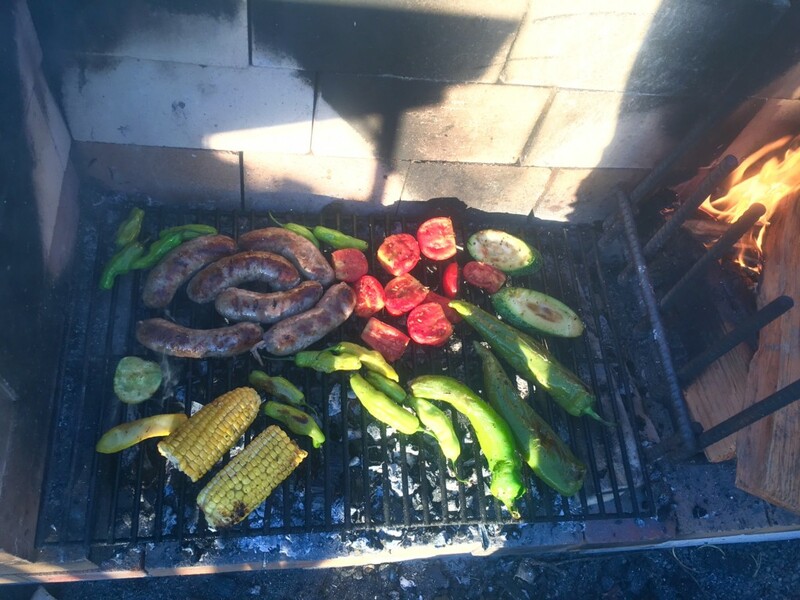 A traditional assortment of sausages and meat cooked on the grilled is referred to as an “asado”. 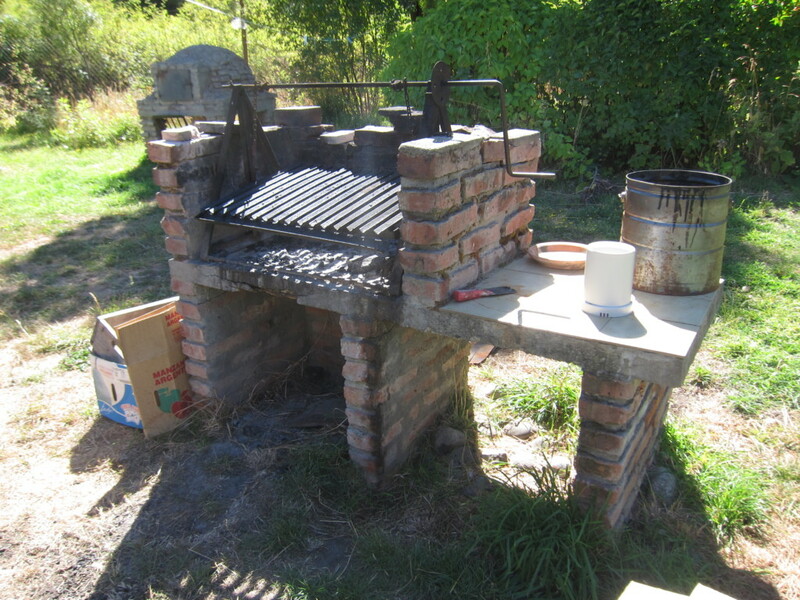 Here is the grill I came across in a backyard of some friends in Argentina that inspired the one we made. Grill set-ups and outdoor kitchens can obviously be much more elaborate than this one but I found the metalwork to be very practical and also consider the masonry to have a folk beauty to it. Yakisoba-style Noodles with a Wood-Fired “Wok-et”! 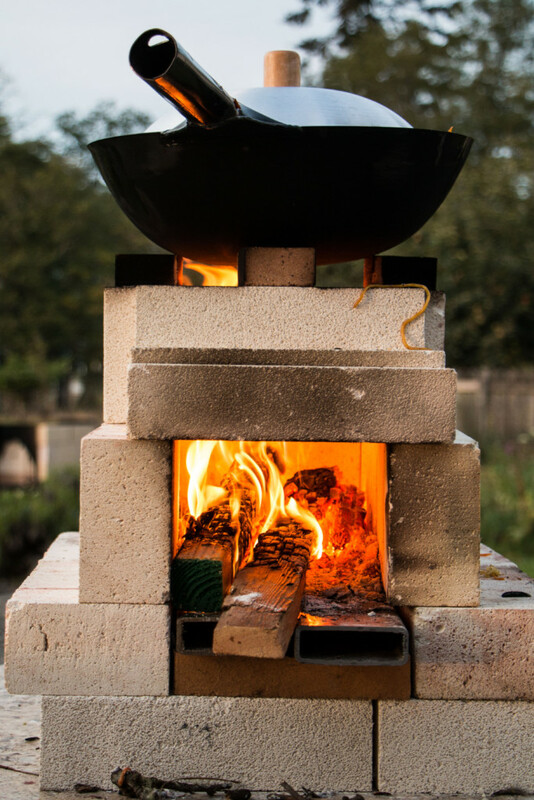 For wood-fired cooking enthusiasts, the wood-fired “wok-et” is a great and simple addition to outdoor culinary celebration. 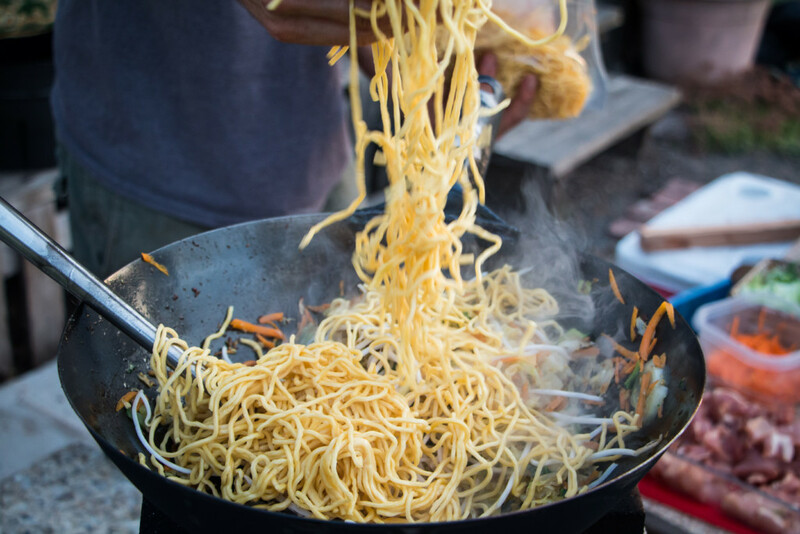 �It has become a summer tradition for us to throw “Yakisoba parties” where the intense heat produced by this unit allows us to quickly cook batch after batch of this tasty complete meal! 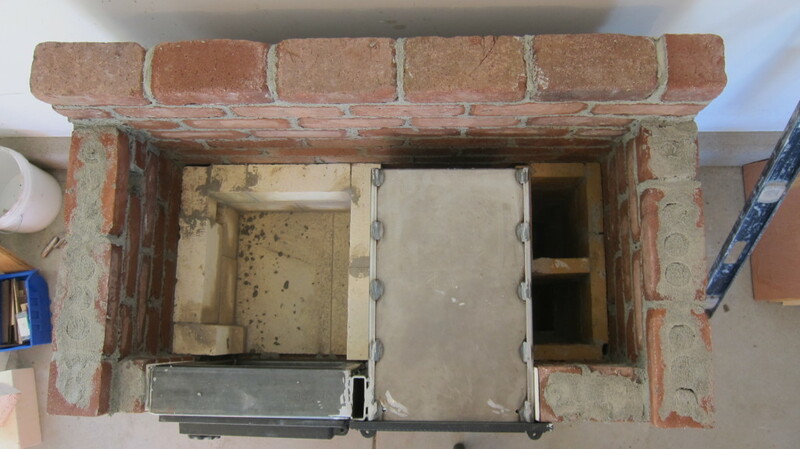 There are now quite a few commercial versions of this kind of stove, generally categorized as “rocket stoves” for their lively and clean combustion. 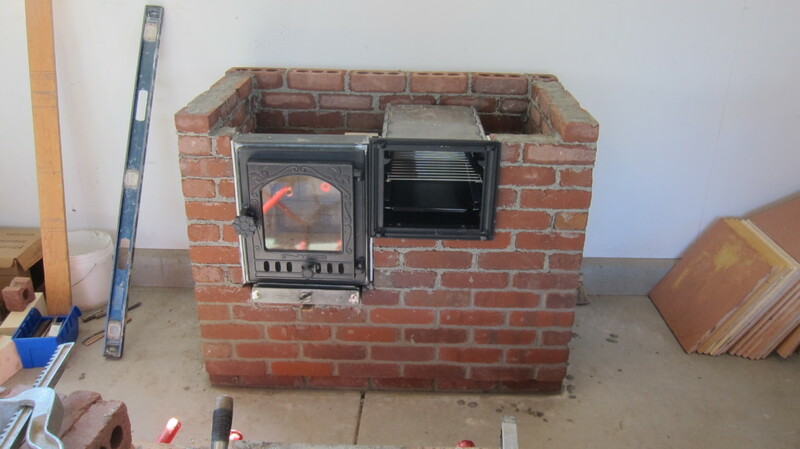 Being stove builders ourselves, we had to make our own, of course! 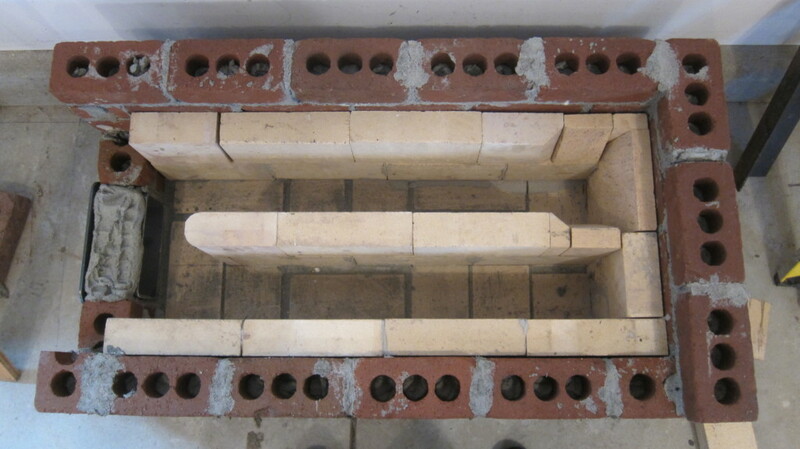 �The L-shaped combustion chamber and insulative ceramic materials used are both defining characteristics of a rocket stove. Ours is dry stacked while we continue to study its performance and function. 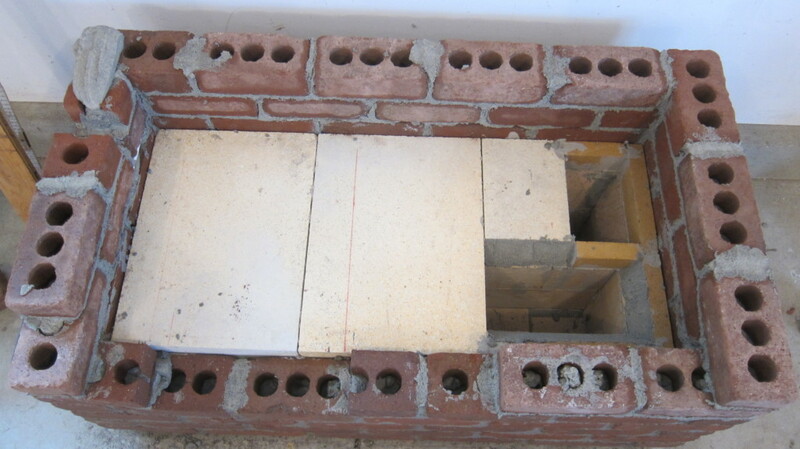 �For now, we have chosen the simplest design given the insulative brick units that we have. 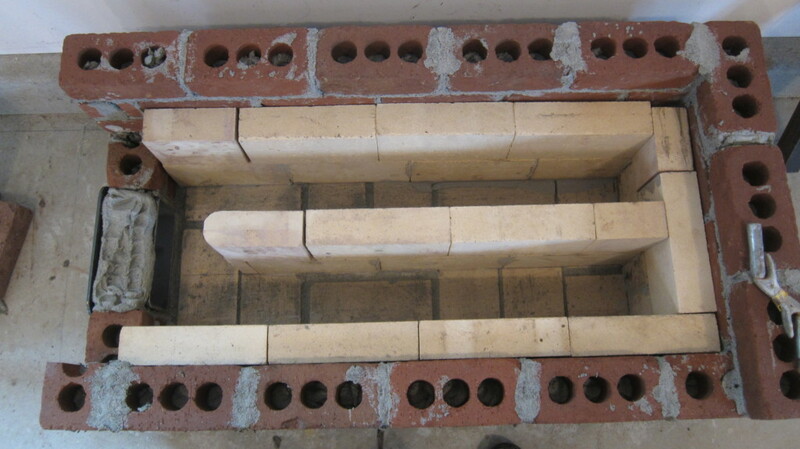 �The two rectangular pieces of steel administer heated secondary air underneath the fuel to the front of the fire and provide the coals with oxygen resulting in a very potent burn rate. 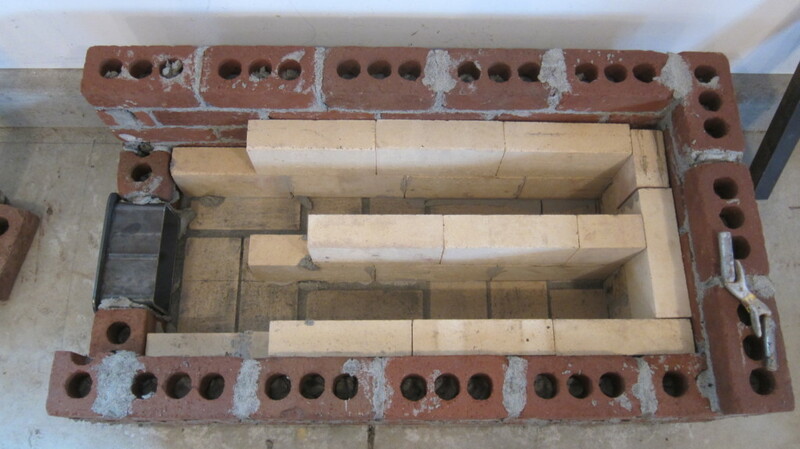 �It is surprising how little fuel is used and also how easy it is to maintain a constant flame. 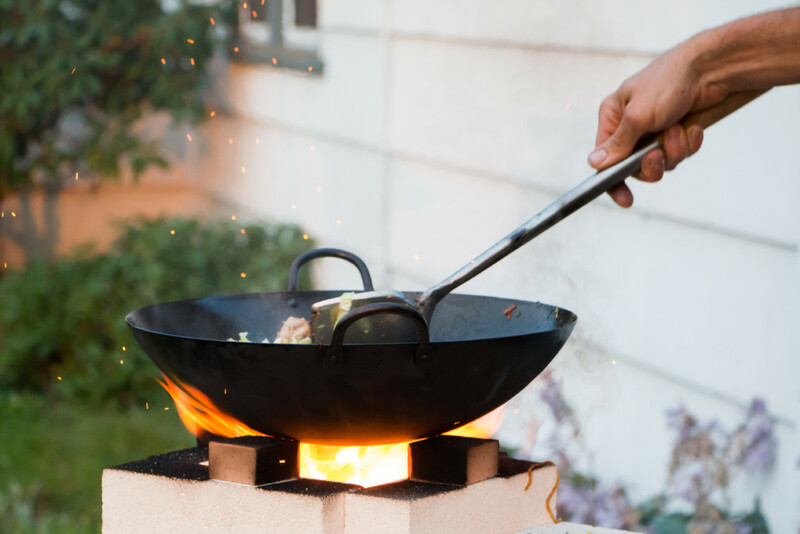 The asian wok evolved to maximize heat exchange between the cooking fire, the pan, and the ingredients cooking. �Wok cooking is characterized by high heat and constant movement of the ingredients. �This is efficient in terms of minimal fuel use and tends to provide an excellent taste to the food which is neither seared nor braised but contains the sensations of both processes. 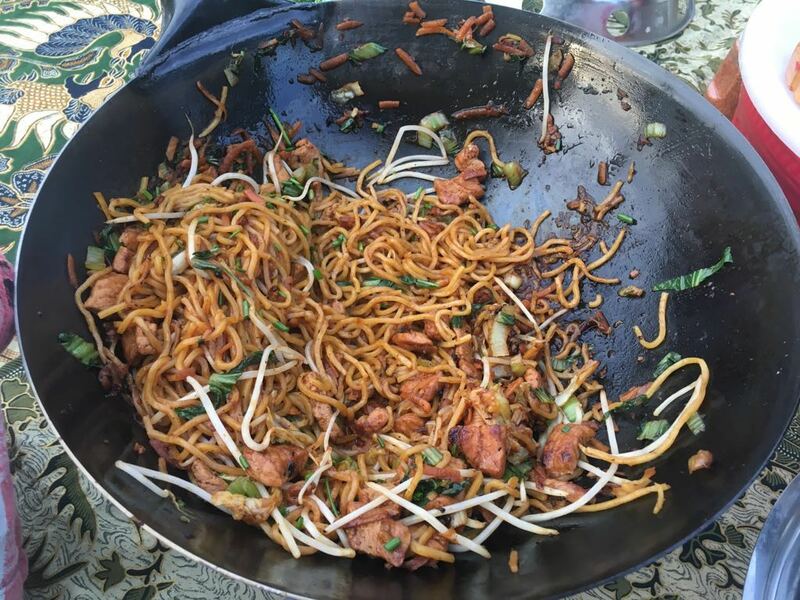 �For Eva’s birthday, we followed this relatively simple recipe: Yakisoba with Pork and Cabbage. Photos and video in this article by Alex Rosenthal, except last image by Eva Edleson. 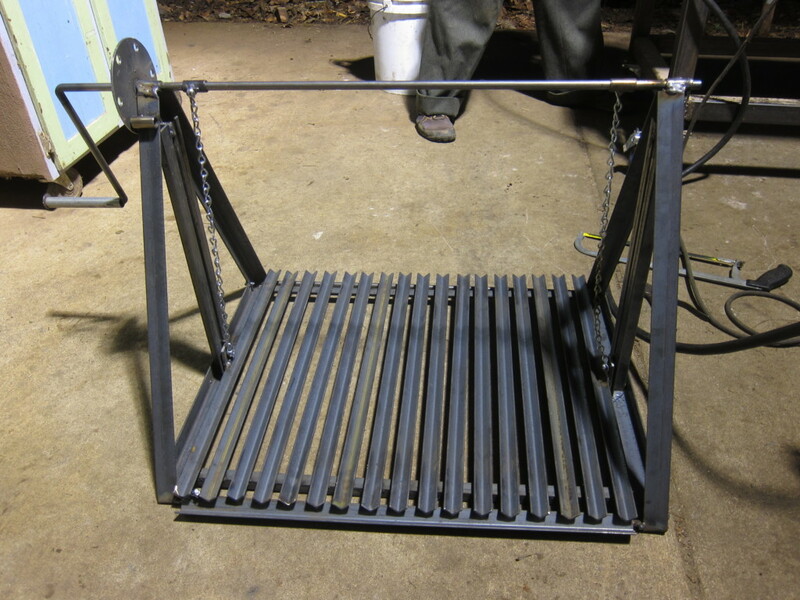 Cleaner Burning Rocket Stoves: Use a Fence? – this addresses a “tweak” that I may consider. 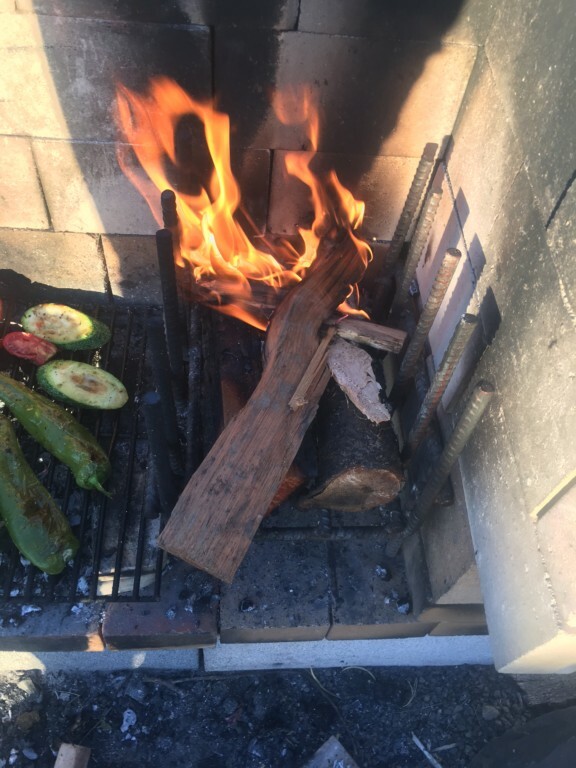 �I notice that while the fire always has a leading flame, the fire was tending to burn back and begin to burn more of the fuel than I would have expected in seeking a “cigar”-style burn. �This article suggests that this is because most of the fuel is in a high high heat environment and therefore begins gasifying. 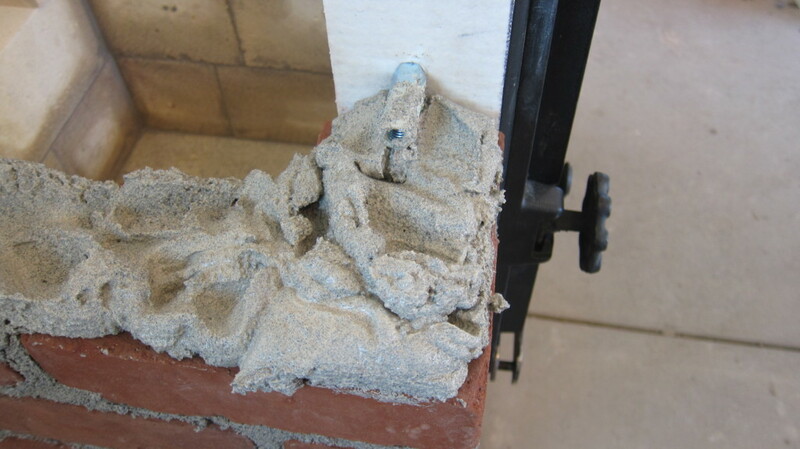 �The solution appears to be to consider reducing depth of insulated horizontal section. Capturing Heat One – a classic! the first text I read on the subject. 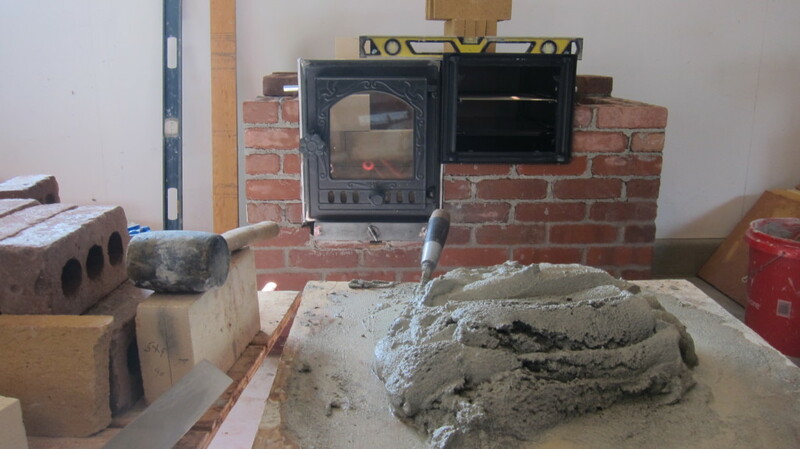 The MHA News – the news “blog” of the North American stove builders association. 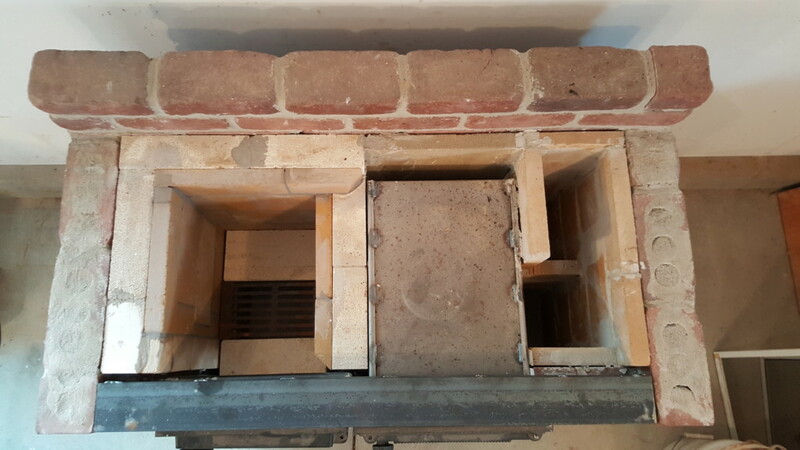 We have decided to focus on production of the barrel oven and backed off – for the moment – on production of doors, grates, and ash drawers sometimes used for the firebox below. 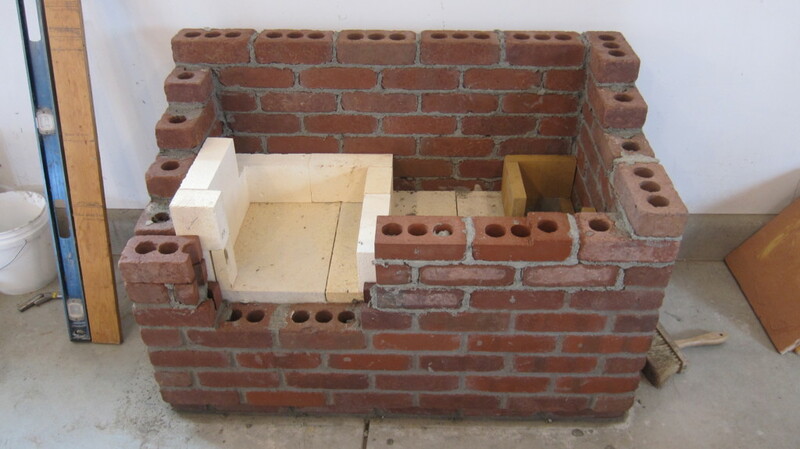 As explained�in our book, Build Your Own Barrel Oven, these are optional and a barrel oven can be built with a narrow opening for the fire chamber and cut rebar for a grate.